Bruce Bachenheimer is a Clinical Professor of Management, the Director of Entrepreneurship@Lubin, and a Faculty Fellow of the Wilson Center for Social Entrepreneurship at Pace University. He teaches undergraduate and graduate courses, primarily in the areas of management, strategy, and entrepreneurship. Before joining Pace in 2002, he taught a number of courses at Mercy College as an Adjunct Professor. Mr. Bachenheimer has served as a consultant to the New York City Department of Small Business Services and a variety of new ventures. He has spoken on entrepreneurship at numerous conferences, including the annual meeting of the National Consortium of Entrepreneurship Centers, the Congressional Student Leadership Conference on Global Business and Entrepreneurship, the Third and Fourth Annual Youth Assembly at the United Nations, and the Make Mine a Million $ Business program, where he also served as a judge. 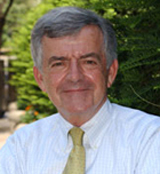 Mr. Bachenheimer is the Chairman of the Massachusetts Institute of Technology Enterprise Forum of New York City, a member of the LeadAmerica's board of Directors and Advisors, a reviewer for the CASE Journal, and serves on numerous committees at Pace, including the Selection Committee of SCI2, the University's business incubator. Mr. Bachenheimer is the founding faculty advisor of the Pace Association for Collegiate Entrepreneurs, a Students In Free Enterprise Sam Walton Fellow, and the organizer of the Pace Business Plan Competition, Pace Pitch Contest and Entrepreneurship Conference. Mr. Bachenheimer's earlier career includes serving as a Vice President of iQ Venture Partners, an Assistant Vice President of Westpac Banking Corp. and an International Banking Officer for the Bank of Tokyo. As the International Product Manager for MSI, an SBA certified 8(a) firm, he was responsible for the initial commercialization of a high-technology forensic science system. In that position, he conducted business in over twenty countries. Mr. Bachenheimer was also the founder of Annapolis Maritime Corp. and the Co-founder of StockCentral Australia. Other activities include having sailed his 36' boat from New England, through the Caribbean, to South America and back. Bruce also participated in the Sydney to Hobart race in 2000.